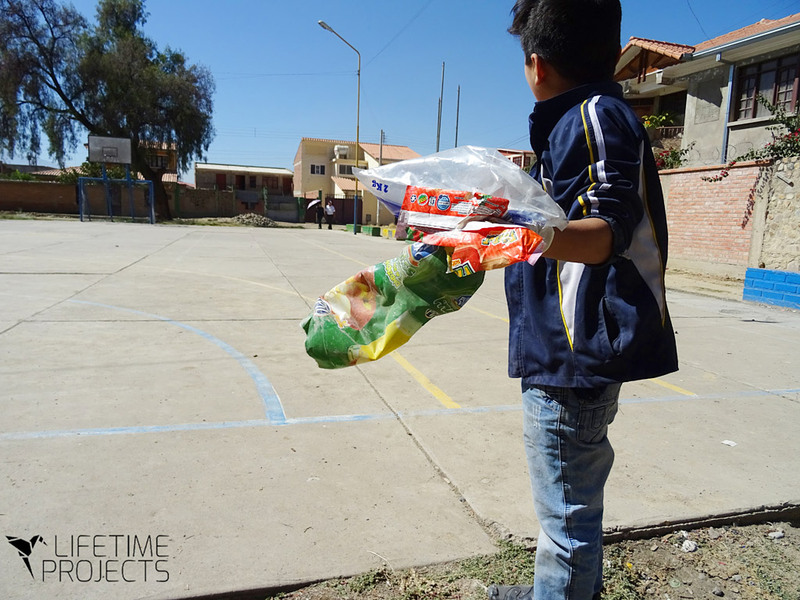 In the beginning of May 2017, the Green Project in the foster homes of Cochabamba led by the Bolivian team of LifeTime Projects called ‘Hogares Verdes‘ started again. The children of the Community Support and Detention Centre for Children (CAICC) attend a weekly session on Fridays regarding awareness in sustainable development. For example, today the children collected waste materials in the neighborhood park. Little by little, the children enthusiastically accrue notions of ecological responsibility. Wearing plastic gloves, they collected as much waste as they could find. Once they returned from the park, they learned to classify the waste in order to save what can be reused during workshop in fabrication of recyclable objects, that can then be sold to finance a portion of the fees.